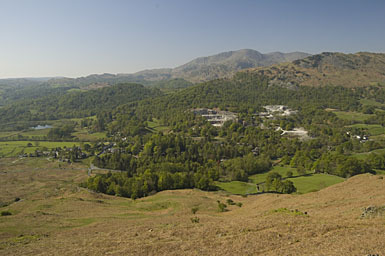 Elterwater can be seen on the left and its village to its right. Lingmoor Fell lies above the slate quarry, and beyond it are Wetherlam, Swirl How and Great Carrs. Larger version of this picture.